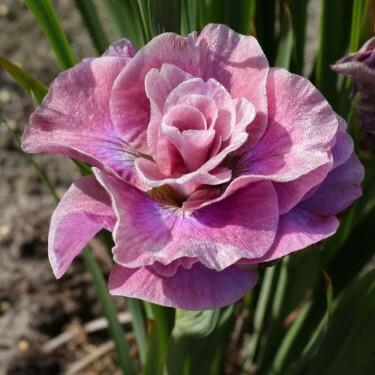 'Pink Parfait’s' many ‘shades of pink’ petals will remind you of a rose more than an Iris. We love the idea of an easy care Iris looking like a rose! She is excellent in borders and makes a fantastic cut flower. Once established they like a moist but well drained sunny location in your garden. The wonderful thing about Siberian Irises is not only their fantastic colour and shape but they are considered 'filler-inners'. Blooming at the time between spring flowering and summer blooming plants they fill the garden with colour when other plants have faded or have not yet come into bloom.